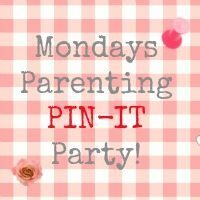 It is Monday again, so we are back with the Parenting Pinterest party, this time we are being hosted by Love All Blogs this week. For a full run down on how to take part, then nip on over there and get the full details so you can pour yourself a glass of wine and grab some nibbles with the rest of us. We are in the kitchen as always. It would be simply wonderful if you can leave the badge for the host on the post that you have linked up. It’s hard work this hosting lark you know…! Now for the linky, here you go – have fun! Thank you Helen for a cheerful Monday party. I love finding new friends here each week.